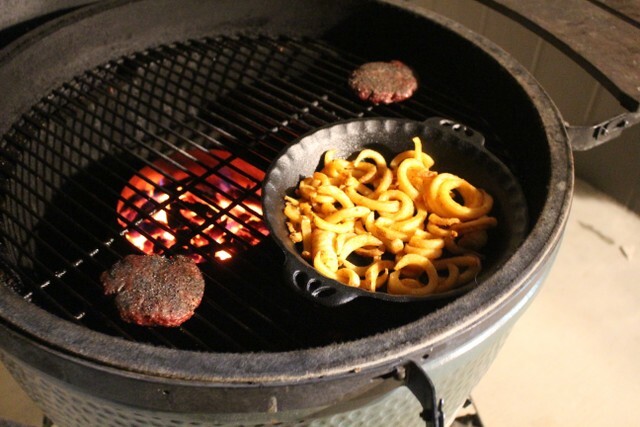 Started with a couple buffalo burger patties seasoned with Tatonka Dust and some Ore-Ida Golden Twirls in a cast iron pan all cooking indirect around the Vortex. 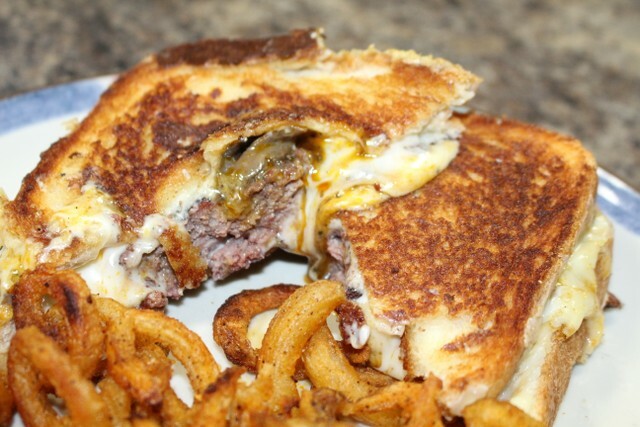 When burgers were done assembled the sandwich using Texas toast, mushroom sauce and Swiss cheese. 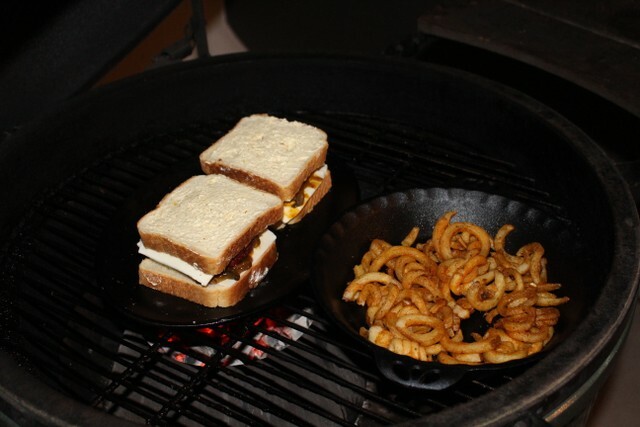 Then with the curly fries still cooking indirect added another cast iron pan over the Vortex to grill the sandwich with direct heat. Made for a bit of a gooey mess, but was so worth it! 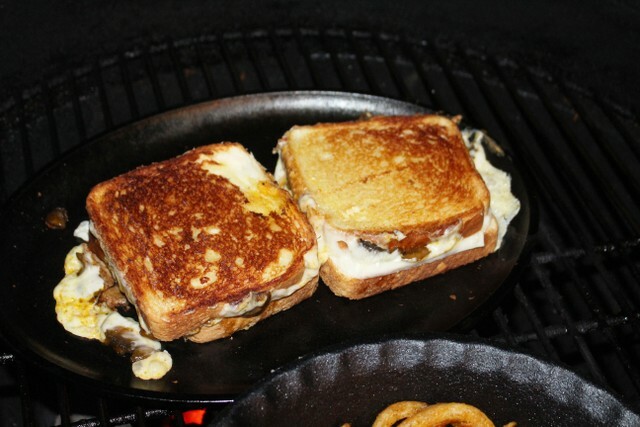 That looks good! Did you shoot the buffalo? Around here we usually shoot the bull a lot. I didn't shoot this buffalo, my father in law normally takes them down. I have only shot one buffalo. Great! Where was you when you shot the buffalo? The buffalo pasture surround 3 sides of our homes yard, so I was pretty much in our back yard! That saves a lot of travel! I didn't know you have a buffalo ranch. The buffalo ranch is my inlaws, wife and I just have a few acres inside their pasture! Wow! Ya better hang on to her, MMO! Does your alarm clock sing Home On The Range every morning?